Warm & Toastie sell gourmet cheese toasties from their pop up cheese bar or classic food truck. 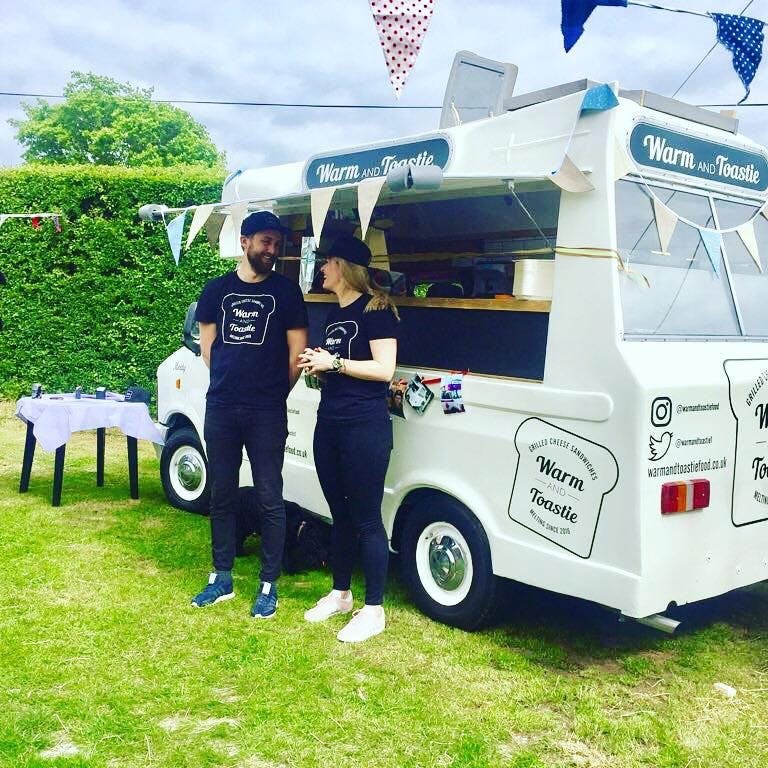 Their story began in 2016 where the team embarked on a mission to create the perfect grilled cheese toastie! Having thought that the perfect cheese for a toastie didn’t exist, they travelled Europe for a year to find their signature ‘Warm & Toastie Cheese Blend’ - a blend of different cheeses that make the stringiest, tastiest melted cheese. All of the toasties are also made with freshly baked sourdough bread and, take it from us, they are dangerously delicious. They believe only the finest most lovingly crafted ingredients can go into their cheese toasties. They always meet their suppliers and look to source ingredients locally and sustainably. They can safely say that they are proud of every single ingredient that goes into their toasties! See if they are available for your event right here on Feast It and delight your guests with their wonderfully tasty toasties!